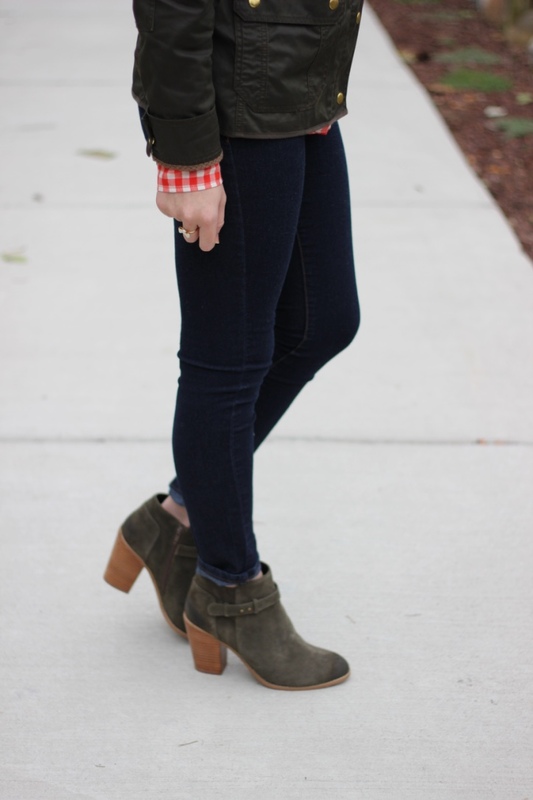 Putting a little prep in my step this morning with these booties. They are taller than most of my heeled booties but still easy to walk in. The color is the perfect army green that matches my new field jacket I bought a couple weeks ago. This week is about to be crazy busy with all my tests and projects! I had a great weekend catching up with some old friends and visiting with my grandparents! I also went to see the movie The Intern which was a really cute movie, I love Anne Hathaway especially in the movie The Devil Wears Prada. So my weekend was pretty productive for once!